One of the biggest issues that the world is facing these days is privacy. Everyone, from Edward Snowden to Julian Assange are raising concerns about how secure our privacy is, and whether what we do when we’re on our own is being watched by someone or not. Especially with the advent of social media, concerns about whether our information remains confidential. With Facebook being the most popular social networking site, privacy concerns are often raised on who can see and access our private pictures, posts and who can comment on them. One of the privacy settings that most people find difficult to comprehend is setting up privacy for your friend list. Now with Facebook’s new updates, you can hide friend list on Facebook, even if they’re your friends, so if you don’t want anyone finding out who are you friends with, they just won’t be able to see them. There are multiple ways in which you can hide your friend list from someone, all of which are listed below which guide you comprehensively and take you through the process and steps that you have to pass through to master this new privacy setting to change it according to your taste. How to hide friend list on your PC or Laptop? 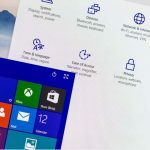 So what are the steps that are needed if you’re using your laptop to access your Facebook and to hide your friend list? Following are the steps that you need to follow. First of all, go to your timeline. 1. 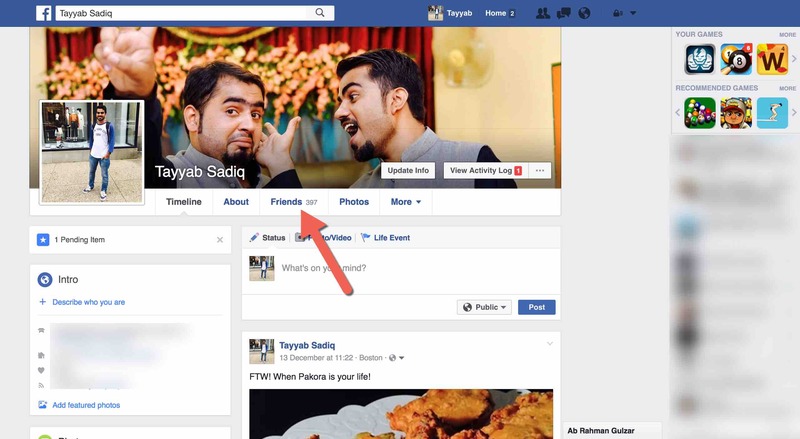 Just below you cover photo is the option of “Friends” click on it. 3. When you’ve selected this option, it’s up to you as to whom do you allow to see your friend list, and who isn’t. There are multiple choices here that you can choose from. You can either set your privacy to friends, family, only me, or any custom way that you want to keep your privacy setting. When you keep your privacy setting to only me, no one can see all your friends. If someone does try to see your friends, all they’ll be able to access is the list of mutual friends that they have with you. If you set your privacy to friends or only me, anyone who isn’t connected with you on Facebook will not be able to see all your friend list. In the default setting that Facebook has, everyone can see who you are friends with. 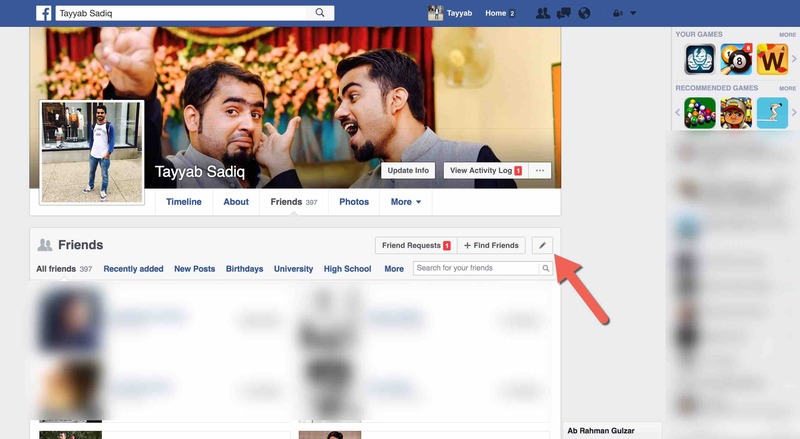 So how can you adjust your Facebook profile to make sure that not everyone can see our friend list? 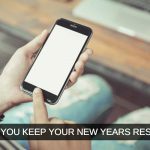 We have tried the Facebook app on both Android and iOS and even tried the Facebook in the Web browsers, but currently, there is no way by which you can hide friends list on your mobile phone. 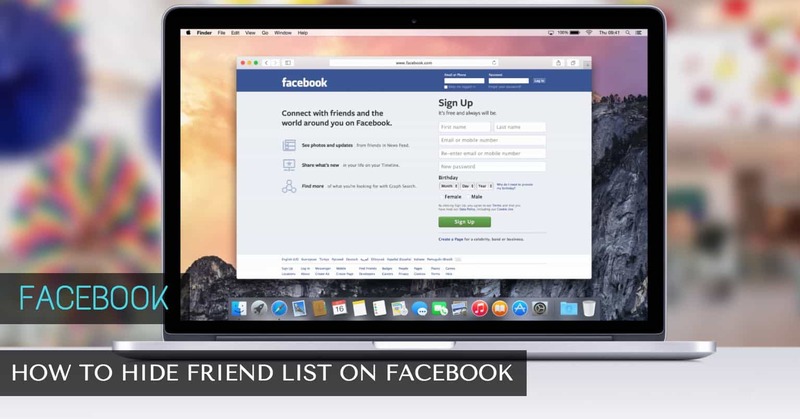 You will need to log in from a computer to hide the friend list.